One of the best ways to relax, unwind, and acquire some culture after taking a NY online defensive driving course is to travel. However, between the costs of transportation, lodging, and food, the expense can be a deterrent. Luckily, much like many other things, if you’re willing to spend some time doing the research, that price can come down significantly. There are several tricks frequent travelers have picked up on how to fly for less. These days, there are all sorts of apps to help with that that are just as enjoyable as the top positive NY transportation stories. Before we get into those, there are also a few tried and true methods of getting the cheapest flight possible. One of the best is to be flexible about your travel plan. If you’re determined to fly out on a Thursday and return on a Monday, there’s a lot less flexibility in the prices you’ll find. Usually Tuesday, Wednesday, and Saturday are the cheapest days to fly. Of course, the times that are most inconvenient to travel, like the middle of the night, are also usually the least expensive. Once you’ve worked out a rough plan for your travel dates, there are sites and apps that can help you get the best possible price. One option is Airfare Watchdog, a site where you can enter in your rough travel dates, along with where you’re flying to and from. Once you’ve done that, the site will relentlessly email you every single time a price drop happens, until you tell it to stop or your potential travel dates pass. Another option is an app called Hopper. It works in a very similar way, but there are a few extra features. Of course, as an app, instead of emailing, it will send notifications to your phone when a price drop occurs. It will also provide estimates on how far the price is likely to come down and when the best time to buy might be. With these options, and countless more like them, there’s no reason to pay the full amount for a flight. The next big expense on a trip will be lodging. In some places, hotels might even be the most affordable option, but that’s not usually the case. 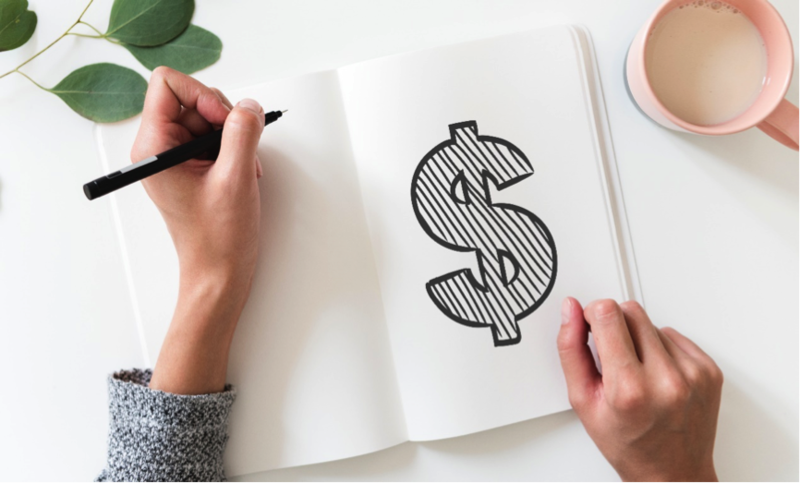 With sites like HomeAway and Airbnb, people rent out their properties, and that usually gives a lot more bang for your buck than a hotel room. This is perfect for families large enough that they would otherwise need to book an adjoining hotel room, or for a large group of friends traveling together. Properties that can be rented will usually come with more space, extra places to sleep, and, depending on the size of the property, more than the single bathroom a hotel room would have. As an added money-saving bonus, any property you rent will also come with a kitchen, which will allow you to prepare meals there. While it is nice to be pampered and to eat out for every meal, that expense adds up fast. Even if you just had breakfast from your rental in the mornings, that could save you a bundle. Tourist attractions are, for the most part, famous for a reason. Even if the locals sneer at tourists, those sites are worth visiting. But it is not worth it to eat anywhere near them. Every restaurant within a few blocks of a tourist attraction, if the restaurant is even halfway decent, is guaranteed a good number of customers because many people will not be willing to search further. Those restaurants will always be more expensive than those found further away, and they don’t need to put nearly as much effort into their food. Be smarter than your fellow tourists, and go at least six blocks away when it’s time to eat. The food will be less expensive but probably tastier. Or just use that kitchen in your Airbnb rental! As you visit south Island in New Zealand, don’t hesitate to put Christchurch on your list of places to see. It’s a favorite destination for many people and is easy to get to in a motorhome hire New Zealand. While there is much more that you’ll want to see as you travel in a motorhome hire New Zealand, make sure to allot a good amount of time for visiting Christchurch. Whether you’re travelling with your friends, with your kids, or alone, you’ll find that there is plenty to see and do in Christchurch. Do you like gardens? Good, because Christchurch is well-known for being a place with plenty of beautiful gardens to see. Whether you visit the Botanic gardens or Hagley Park, you will be rewarded with beautiful greenery and fountains alike while taking a break in one of the city’s many garden places. Visit Quail Island: If you want to have a bit of history in your life while visiting Christchurch, book a ferry to Quail Island where you’ll discover shipwrecks and former quarantine stations, while also getting to enjoy the gorgeous beaches in the area. You can also do a bushwalk if you’re in the mood for it, making it a fun, nearby getaway from Christchurch. Take some time to see Sumner Beach: Located in the outskirts of Christchurch, you can enjoy Sumner Beach if you want to have some sun and sand on your vacation. Not only will you be able to enjoy a beach visit, but the unique caves and archways add to the beauty of the area, while the wildlife is plentiful and there for you to admire. Check out the Orana Wildlife Park: If you’re want to see wildlife in a controlled environment without having to see them in cages, you can get in a cage yourself and enjoy visiting the unique animals at the Orana Wildlife Park, only 15 minutes away from the Christchurch airport. From lions to gorillas, as well as the ever-elusive Kiwi bird, it’s a fun experience for children and adults alike. Take a day trip to the majestic Southern Alps: If you want to enjoy a train trip while in New Zealand, you can be sure that it is a fabulous opportunity for you to take in views of the gorgeous landscapes that are so common in New Zealand. All you have to do is sit back on the TranzAlpine, as you admire the majestic Southern Alps. Go jet boating on the Waimakariri River: It’s something that the locals enjoy and we’re quite certain that you’ll love it too. Jet boating is an all-time favorite pastime in this area of New Zealand and certainly worth your time as you visit the Canterbury/Christchurch region. It’s fun, adventurous, refreshing, and most certainly a unique experience for those who are new to the area. Go to Adrenaline Forest: If you’re visiting with your kids, you may want to check out Adrenaline Forest, where you and your kids can enjoy fun, heart pumping experiences like ziplining and more. With a number of challenging courses to tackle, you and your family will be busy for hours on end. It’s a great way to stretch your legs, enjoy fresh weather, and get out and about after road tripping throughout South Island. 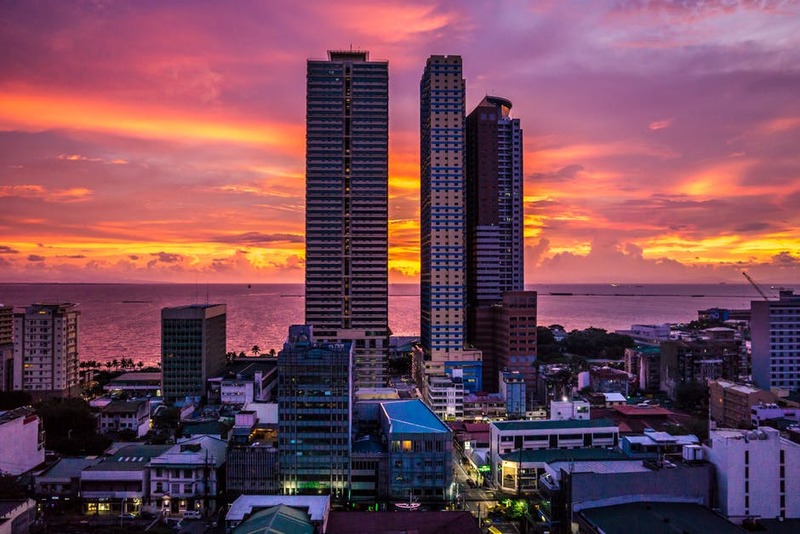 Visit art galleries and museums: From museums and memorials to remember the quake to art galleries, chic restaurants, and gourmet meals, if you like city living, you’ll appreciate the many places to see and observe while in the city. From CocA to Art Box Gallery, there is no shortage to entertaining experiences in this south Island gem. You can learn more about the history of the city and enjoy trying new dishes while in Christchurch. Are you planning to enjoy as much as possible while visiting New Zealand? Make sure to put Christchurch and its surrounding areas on your map. From beach spots to quirky islands, fun adventures, interesting history, gardens, and galleries, there is plenty to keep you and yours busy for as many days as you have planned to visit. It isn’t Milford Sounds or Mt. Cook, but if you’re looking for a fun city to visit with plenty to do in the area, you won’t regret it. It’s ideal for families who want to take some time relaxing with their kids, while still having just the right amount of nature fun to enjoy. As you pack up your motorhome hire New Zealand and get ready to travel the country, be sure that you won’t be wasting your time visiting this area of the country. It’s beautiful, iconic, and has a laidback vibe that you’ll enjoy. Happy travelling! Europe not only has a long history, it is also home to many of the most beautiful and interesting cities on the planet. Destinations that concentrate everything that any traveler or tourist could wish for: many things to see (monuments, sculptures, buildings, parks, museums…), many plans to make (shopping, partying, relaxing, enjoying the local cuisine, enjoying all kinds of cultural and leisure plans, etc.) and good hotels to stay in during your stay in Europe. The list of European cities worth a visit is endless, but we have chosen the 3 European capitals you can’t miss if you decide to travel in Europe: Madrid, the “City that never sleeps”; Paris, the “City of Light”; and Rome, the “Eternal City”. Each one of them has different charms that make them an unavoidable stop for travelers. Let’s get started! This city offers the traveler all kinds of plans for both day and night. La Gran Vía, full of theaters, shops and places to have a drink; the Paseo del Arte (with the Prado, Reina Sofía and Thyssen Bornemisza Museums), the Plaza Mayor and its terraces, the El Retiro park, the fountain of the Cibeles, the Puerta de Alcalá, the Puerta del Sol, the spectacular sunsets in the Temple of Debod or find a bargain in El Rastro, the largest market in the city that operates every Sunday and holiday of the year, are some of the attractions of this city. Finding a place to stay in Madrid is not complicated at all. 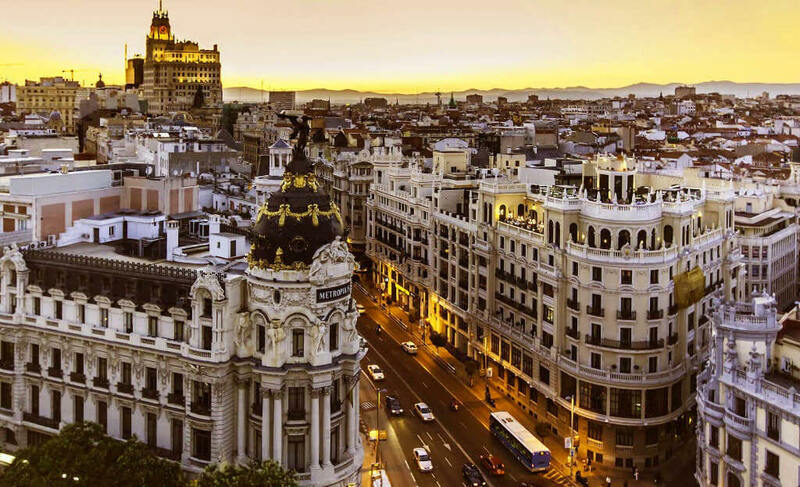 Fortunately, Madrid has numerous hotels where quality is assured and with options for all types of travelers: business travelers, family travelers, couples or lovers of luxury and well-being. Paris is a city that seduces and encourages romanticism and walks along the banks of the Seine, touring the district of Le Marais, climbing up to Montmartre and visiting the Eiffel Tower to admire the beauty of the city from one of its highest points in good company while you taste a croissant or toast with a glass of champagne. You can’t miss the Sainte Chapelle or the Cathedral of Notre Dame, the Montparnasse Tower or a stop at the Louvre. As for accommodation, it won’t be a problem, as the city has many quality hotels where you can spend the night. 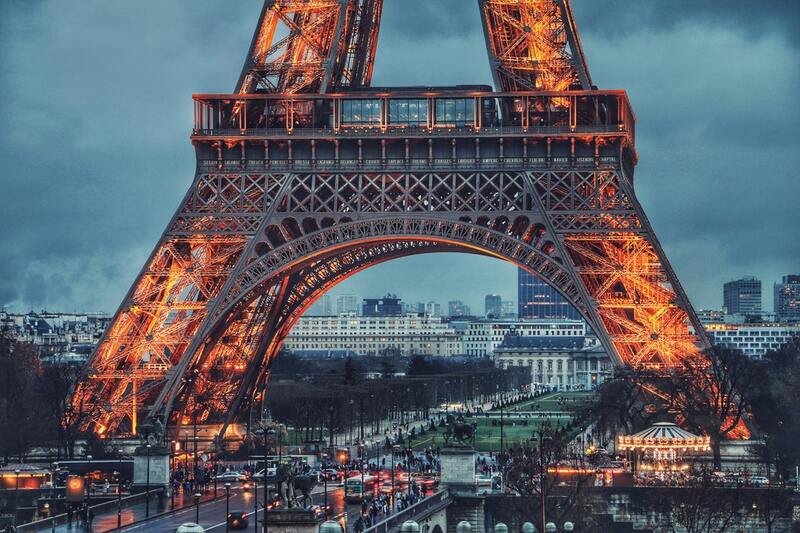 And although sleeping in Paris often means everything but sleeping because of the many things that can be done, that is precisely one of its charms. Few cities in the world can compare to Rome, a city where time seems to have stopped. From the first moment you set foot in Rome, you can enjoy part of its history. The Colosseum, the Trevi Fountain, the Roman Forum or the Pantéon de Agrippa are essential visits that will bring you closer to the city’s past. If your tastes are more contemporary and cosmopolitan, be sure to stroll around the Trastevere district and stop by one of its “trattorias” to recharge your batteries. 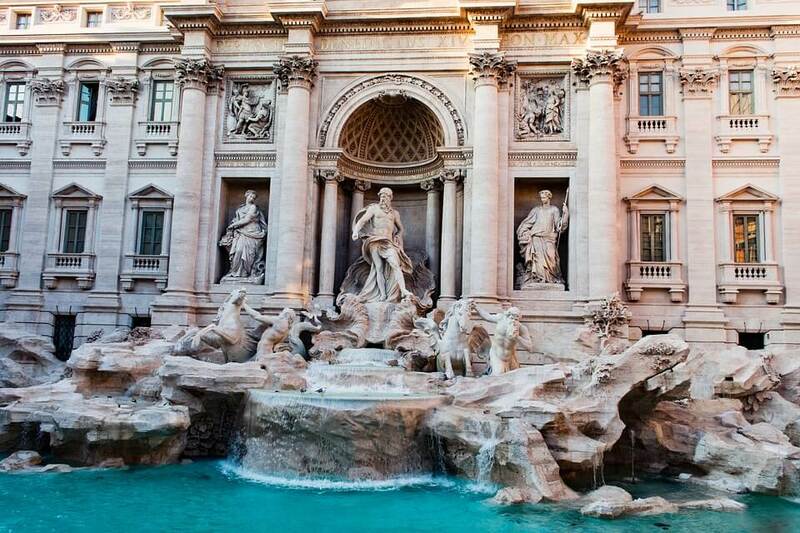 History, art, culture, gastronomy and a pleasant climate are some of the main attractions of Rome. A city with hotels adapted to the needs of any visitor to Rome, even the most demanding travelers. If you’re in the process of planning a trip to Pennsylvania, simply continue reading to discover some of the best attractions to include on your Pennsylvania itinerary. Whilst in Pennsylvania it’s well worth visiting the Liberty Bell, which is an iconic symbol of American independence. 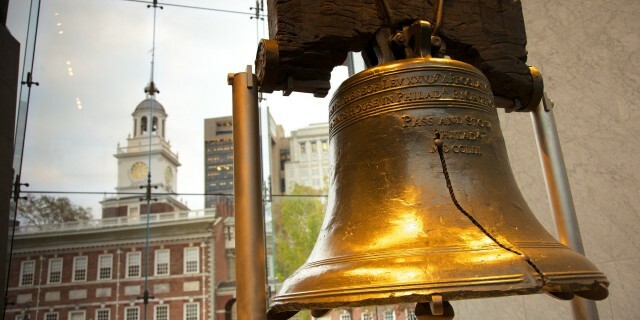 The Liberty Bell weighs 2,084 pounds and was last rung in 1846, having been commisioned in 1751. If you’re a fan of Hershey branded chocolate or plan on traveling with children, you may want to consider spending an afternoon or a day at Hersheypark, which happens to be one of Pennsylvania’s top-rated attractions. Hersheypark boasts a myriad of adrenaline-inducing roller-coasters and thrill rides as well as water park and features numerous live entertainment shows. Lastly, if you visit Hersheypark you’ll also be able to sample as much Hershey branded chocolate as you can eat. If you have an interest in learning about the Civil War, make sure to plan a tour of the Gettysburg National Military Park, which contains the infamous Gettysburg Battlefield as well as a state of the art Civil War museum. If you’re feeling brave and are curious about what conditions were like living in the notorious Eastern State Penitentiary, which opened in 1821, it’s well worth purchasing a ticket to tour the former prison. One of the highlights of your tour will most certainly be getting to step inside the world’s most famous gangster, Al Capone’s prison cell. After the prison was officially closed in 1971, it has since been awarded the honor of being named a National Historic Landmark. If you have young children, it’s definitely worth spending a full day as a family at Sesame Place, which is a large, sprawling Sesame Street theme park which boasts a wide array of family-friendly rides and interactive shows. If you’re lucky your family may be able to get a photo with everyone’s favorite Sesame Street character, Elmo. The Philadelphia Zoo is a world-class zoo which features over 1,300 species of animals. Examples of which include gorillas, alligators, lemurs, elephants, and leopards. Pennsylvania has many casino and horse-racing locations. You can check out Presque Isle Downs, or The Meadows Racetrack and Casino. You can also take advantage of this Pennsylvania Lottery Bonus Code if you’re really into betting. If you enjoy spending time exploring the great outdoors, it’s definitely worth spending a fun-filled day exploring Lake Erie. Which happens to be the fourth largest of the nation’s great lakes. If you choose to visit Lake Erie, definitely make sure to book a boat trip. Independence Hall was the building where both the United States Constitution and the Declaration of Independence were drafted. Examples of some of the great men who spent time developing important documents inside the Independence Hall include Benjamin Franklin and Abraham Lincoln. Who happen to be two of the nation’s most highly regarded presidents. So what are you waiting for? There’s no time like the present to start planning your dream vacation to Philadelphia! From excellent infrastructure to absolute safety, these are but a few of the things which go into making Finland a great destination. If you happen to be an adventure lover, take time out from the hectic parlays with modern life and head to this Land of Extremes to fulfil an outdoor experience of your dreams. With so many options on offer it becomes quite simple to script an itinerary to cater to the demand of any adventure lover. Booking an individual transfer in Finland, you can see all the prices on the website.The fare includes help with baggage and 1-hour wait time. The cost of a transfer will not change after booking under any circumstances. A trip with Kiwitaxi is always booked in advance, so you will not have to search for a vacant car on the day of departure – it will already be waiting for you in the appointed place. Finland is a well forested country, which makes outdoor activities a very popular pastime of the locals. Being less populated then most European countries, makes Finland a mecca for hikers and trekkers for every level. The extremely famous Urho Kekkonen National Park, which has innumerable trails, is a favourite with hikers seeking long trips in the wilderness amongst spectacular scenery. The extensive network of hiking routes are well supplemented with a range of staying options like, camps and huts. The other popular trail at the Nuuksio National Park in the Lapland region can be accessed by using local transport from Helsinki itself. Situated just 15 km away from the city center, the park has beautiful lakes and good infrastructure for hikers, especially those interested in mountain climbing. The most sought after trail remains Karhunkierros, situated in the Kuusamo region. Cabins and camps along the 80 km trail, takes hikers through some of the most pristine wilderness to be found in the country. There is a boom around the world for mountain biking and Finland, with the excellent infrastructure it possesses, has latched on to the demand very well. The Pallas-Yllas Tunturi National Park is the ideal place to explore on two wheels. A staggeringly 900 km of biking trails, set amongst the most stunning landscapes, welcomes adventure enthusiasts for one heck of a trip. Another destination which attracts many bikers, especially during the winter season, is Syote. The area has all types of terrain, suitable for mountain biking, which can be traversed over days on end. Tahko also plays host to many mountain biking events in Finland in the summer months. The top most destination for mountain climbers in Finland is without doubt the Olhava crag, in Repovesi National Park. The iconic peak is located a short distance away in the park, where the steep granite wall in the backdrop of a scenic lake makes the place an instant hit. Though the rapids in Finland can be tumultuous, the infrastructure is so reliable, that even enthusiasts with limited ability can partake in rafting here. There are plenty of spots like Kuusamo, Koli and even Ruka. This is the best way to enjoy an outing on the river and savor the comforts of excellence accommodation en route. The husky safari allows the visitor to spend magical time in the wild, led by a team of dogs among spectacular scenery. Around 40 km of distance is covered per day, and depending on weather conditions. 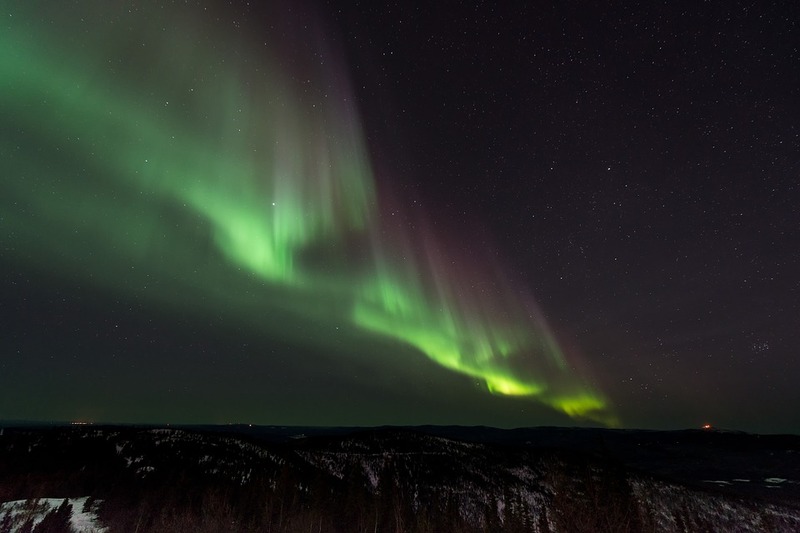 Guests are taught to drive their own huskies, learn wilderness skills and get a chance to spot the Northern lights by night. When most people visit India, Tirupati escapes their notice. This quaint little city located to the south of India, is one of the most religious places you will be able to find throughout the world. Thousands of Indians flock to the Tirupati temple every single day in an effort to find peace with themselves. It is said that anyone visiting the temple is granted all their wishes. Now, you might not believe in God, but, there’s something about Tirupati that does pull you in. One of the heroes of Hindu mythology, Lord Rama apparently resided here on his return from an epic quest which he undertook to save his wife. However, the place has seen a lot of religious sects through the ages. Earlier, Tirupati used to be a town crowded by the pacifist Vaishnavas. They are the people who erectedd the famous Venkateshwara temple. Some of the saints back then had described Tirupati as heaven on Earth. Unless you are in one of the hotels in Tirupati, eating out of a banana leaf, you would understand the peace that this place offers. 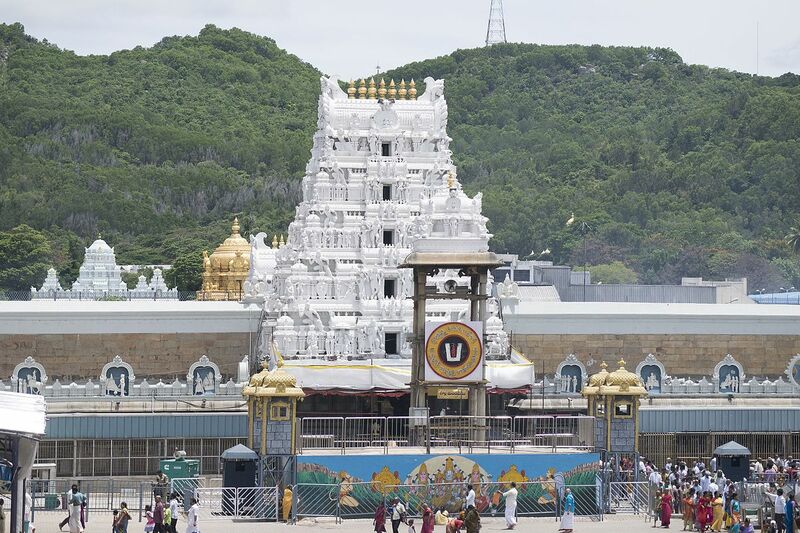 With its own texture, and with people from all cultures coming in with hopes in their eyes, Tirupati offers something of a cultural extravaganza. Plus, because of the various Indian histories mingling at this place, you get a feeling that you are a part of something larger, something far more epic than you have seen. Tirupati is also peaceful. Despite, all the accusations of dirt about Indian religious places, Tirupati is very clean. It gets quiet in the evenings so when you get out of one of the hotels in Tirupati, you can just go around and visit the places all around you to gain perspective on what is there to see. Look, I don’t believe in it either. However, the three days spent at Tirupati was strangely enticing. Maybe, its the hope surrounding you with everyone looing for something out of this experience, but, it seemed that this town was a corner of hope in a bleak world. Maybe, that is all we need in the high-paced life we lead today. Some hope and some time with our loved ones. Tirupati offered me both. I do not know what it is about Tirupati, but, the moment I was out from one of the hotels in Tirupati, I knew I would be back again to visit. I wished for all that hope around me, and the sweets coming to me from all the Indian people. Having business trips is both fun and difficult. You are used to working from your main business location and travel can be a bit of a pain if you are not organised. You do however, have fun because you go to a different place with people you are working with, but you do not just go there for fun. You also have goals to achieve. At some point, this can be a tiring trip. Of course, you can’t just cancel the trip given that you have another party to consider. You can make the actual trip better and more comfortable though. You don’t have to fly all the time if this makes you wait for a long time at the airport. You may also decide to use trains or buses if the location is near and those options are safe. This is true especially if you are planning a business trip to a place like Cannes. There are a lot of wonderful views to see. Therefore, moving around by land would be more relaxing. If you are flying to another place, plan the trip really well. The goal must not be to make the trip cheaper, but more convenient. After all, you are not going on holiday. You are going for business. You deserve to at least have a comfortable flight. Having to wait at the airport for hours would be really tiring. When you choose corporate accommodation in Cannes, you should just go all out. After all, you are paying a huge amount of money anyway. Don’t go cheap especially if you are travelling with other top executives. Besides, if early booking is done, it is easier to find cheaper hotels. You might feel a bit worried about the idea that if you choose expensive hotels and flights, this will make everyone question the choices. There are ways to justify the cost though. For instance, you have booked an expensive hotel, but it includes airport transfer and local transportation. You have spent more for the accommodation, but you have saved money on transportation. You only have a few days for this trip, so you might as well make the most of it. Visit different places, especially in Cannes, where almost every spot is worth visiting. Again, you can only do this when you have achieved your goals and you are done with the business meetings. You also deserve a break, and this is a good way to pat yourself on the back. Hopefully, these tips will drastically change your experience when having a corporate trip. It should be a wonderful experience for you and everyone else who is travelling with you. Southeast Asia has long been the destination of choice for travelers eager to explore the world. 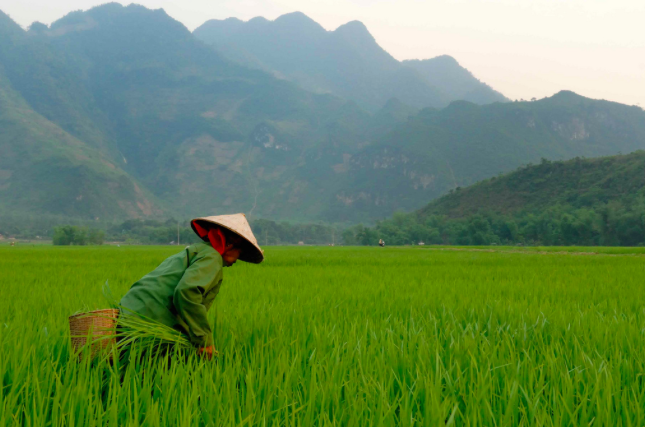 The region, which incorporates such fascinating destinations as Vietnam, Cambodia and Thailand, offers unforgettable new experiences for willing adventurers eager to fuel their imaginations. 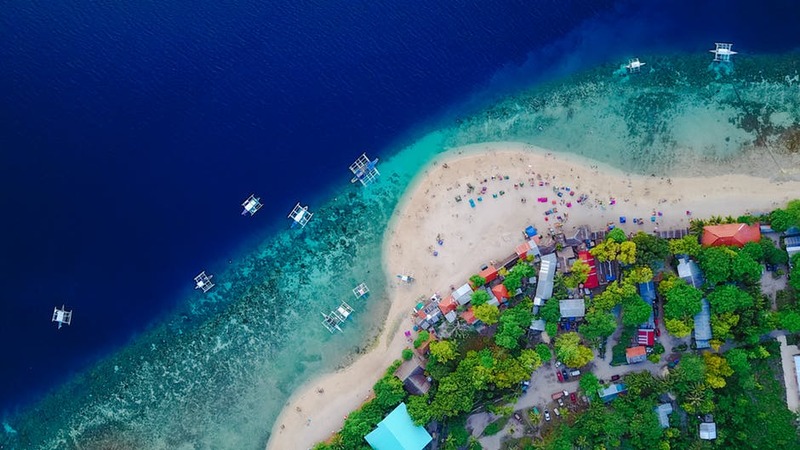 Yet, whether you’re a thrillseeker, backpacker or holidaymaker, exploring Southeast Asia requires some preparation, especially if you’ve never been before. Even seasoned travelers need prep to get the most out of their visit. The countries that make up the region offer cultural delights you won’t find anywhere else, but to get the most out of your visit you need to know a few things before you step foot on that plane. Preparing for your journey will help you know what clothes to pack, how much money you’ll need, and whether or not you’ll want sun cream or a raincoat. It’ll also help you de-stress before the excitement can really begin. Preparation is crucial when traveling in Southeast Asia. Know what you want to get out of the trip before you go (or at least have a good idea). Are you backpacking and moving from place to place, for example? If so, how do you plan to get around – bus, taxi or maybe a scooter! If you’re staying in a city or town, what does it have to offer in terms of places to eat, leisure attractions and historical interest spots? Most places in Southeast Asia will issue American travelers a visa on arrival, but Vietnam and Myanmar require your visa application in advance. This is an even more important factor if you’re moving between different countries. It’s important to research visa requirements as well as entry and exit fees before you leave home. The best prepared travelers will get the most out of their trip exploring Southeast Asia. But running out of money is one of the pitfalls of not budgeting properly. Thankfully, the region is fairly cheap to travel around in. The most conservative of spenders can probably budget for as little as $20 per day. Our recommendation is to put aside $40 a day. You’ll be familiar with budgeting for personal expenses or even with managing your bankroll when playing bingo online through sites showcased on Oddschecker and elsewhere, so it would be silly to be caught short during your international adventure. $40 will allow for better quality rooms for backpackers as well as cash left over for leisure activities and some good food. If you’re in the region on holiday, use your budgeting time to plan excursions before you leave home so you’ll have a better idea of how much cash to take with you. The weather is also a factor in your decision making. The tropical region’s weather is as diverse as its cultural traditions so this isn’t a one-rule-fits-all. But there are a few things worth noting about the climate that’ll help make your trip more satisfying. The monsoon season occurs around the beginning of May, intensifying in August through to October before the dry season returns in November. This doesn’t mean avoiding travel at this time altogether but it’s worth knowing, especially if you plan to visit one of the islands – as the rain storms can be extreme. The hottest period is usually around April when travel can be quite challenging because of the humidity. If it’s a two-week holiday in search of a golden tan, April’s your month but if backpacking is on the agenda, this is the time to avoid. No matter where you end up in Southeast Asia, US dollars will be accepted by most people. You’ll never know when you might need money so it’s always good to have a few dollars handy if you run out of local currency. It’s best to take USD with you before you travel but countries such as Cambodia will dispense cash in US dollars if needed. The worst health problem you might encounter in Southeast Asia is an upset tummy but it’s still helpful to be prepared for the worst. Make sure you have health insurance for the countries you are visiting to give yourself peace of mind. Learning to say “please”, “thank you” and “hello” in the language of the country you are in is a must. “Hello” is “xin chào” in Vietnamese, for example. Local people will really appreciate your efforts to speak their language and it’ll help you get more out of the experience through this interaction. An app like iTranslate Voice is ideal for communicating in the local language. Although it doesn’t include every language you’ll need, it does support Thai, Vietnamese and Indonesian. The food in Southeast Asia features some of the world’s tastiest cuisines. Instead of seeking out the top-rated Trip Advisor restaurants, the best is to be found from street vendors where you’ll find sizzling woks serving up wonderful flavours at the cheapest prices. Backpackers will save lots of money buying street food while holidaymakers will enhance their visit and tantalize the taste buds with a trip to one of the much-celebrated night markets. Once you’ve arrived, you’ll want to explore. Outside of the major cities, public transport is limited. You’ll need to research local travel companies for excursions they are running. Some people do choose to rent a car, scooter or motorbike but only the most confident and experienced drivers should attempt this as the roads are perilous. If you find yourself on the islands, there are inexpensive ferries available to move around. Exploring Southeast Asia will prove to be a fascinating, life-enriching experience. It’ll provide once in a lifetime opportunities and unforgettable memories. But the best trip is a well-prepared one. Take your time to plan your adventure to ensure a safe and enjoyable journey. Do you love travelling around the world? You can of course do so by plane or by ship, however with travel-themed games online, you can also explore different places from the comfort of your home! Let us discover some of the top travelling games of 2018. Discover the amazing places in the world with Around the World video slot, a creation of Microgaming Systems. With this 5 reels 20 paylines slot, get ready for a great adventure and visit the popular landmarks around the world like the Eiffel Tower. Join Phileas Fogg and Passepartout in their trip around the world in 80 days and increase your winning potential. Also, revisit the famous book by Jules Verne, “Around the World in Eighty Days” through this game. Enjoy some well-deserved holidays with Vacation Station Slot created by Playtech. With this simple 3 reels, 8 paylines slot, pack your bags and sunglasses to head off to a nice sunny beach for your vacation. The game is conveniently set in the lobby of an airport and you can see planes, wagons and air balloons on the reels. So, get ready for holidays, wearing a nice t-shirt and don’t forget your camera around your neck! In the online gaming world, there many slots based on travel, holidays or adventure. For example, at Ted Bingo, you can enjoy travel-themed games, such as: Thai Flower Slot, Jewel Journey Slot or Aloha! Cluster Pays Slot. These amazing games will make you discover new places where you can enjoy fun holidays. In 2018, revisit the story of Alexander the Great with King of Macedonia Slot, a creation of IGT. Set in a kingdom, this game has a medieval feel to it. Goblets, scrolls, violins, vases, warrior helmets and treasure chests are some of the symbols you will come across on the reels of this 5-reel 40 paylines slot. This game is also packed with special features that will definitely make you want to go on a great adventure. If you love games full of speed, you will certainly want to try The Crew 2. You can enjoy this great game on PC, Xbox One and PS4. Although it is a racing game on which you can speed around in a Porsche 911, a Maserati GrandTurismo or a Mazda RX7, it also makes you enjoy road, boat and air trips around USA. Visit San Francisco’s Golden Gate Bridge, Hudson River in New York or the busy streets of Manhattan. Enjoy these trips in full speed! Join a puzzle adventure with Knights and Bikes, which you can enjoy on Windows PC and PlayStation 4. Created by Foam Sword Games, it comes with a vivid art style which reminds you of The Goonies. Play as Nessa and Demelza, two imaginative girls, and explore the British island. Join this great adventure, seeking out treasures and solving ancient mysteries. If you love adventures, Sea of Thieves is the perfect game for you. Try this game on either Xbox One or Windows PC. This squad-based adventure happens on the high seas, where you co-operate as pirates, that is steering, shooting, pillaging and looting. Watch out for this game set to be released on the 20th of March 2018. So, with such travel-themed games in 2018, you can expect great fun, adventure and entertainment while exploring the amazing places around the world. Happy long-term travels or quick adventure! If you’re planning a trip away – and not to a prison cell –read on to check the law regarding vaping at your holiday destination. If you’ve made the switch from smoking to vaping, you can rest assured that you have made an excellent decision to improve your health. However, while the health benefits of vaping set it apart from smoking regular tobacco, e cigarettes do come with their own set of rules. Therefore, if you’re planning a holiday abroad and want to avoid getting in any trouble, you’ll need to be aware of the e cigarette laws at your vacation destination. Is vaping illegal in certain countries? Although vaping is accepted to be a healthier alternative to smoking, in some countries this healthier solution isn’t allowed. The penalty for vaping differs between countries; therefore, it is a good idea to check the laws before you pack up your vape pen and jet off. You may be surprised to learn that heat not burn products are only permitted in 19 countries worldwide! Vaping laws in America should not cause you too much trouble. Depending on which part of the USA you are visiting, you may have to restrict your vaping to outdoors, as it illegal to use your e cig indoors in some states including New Jersey, North Dakota and California. This means it is important to read up on e cigs online to find where your destination state stands on vaping indoors. In some states you can sell and advertise vaping products as long as they comply with the US Food & Drug Administration’s cigarette advertising regulations. There are conditions on selling these products to youths and those under 21, but these vary from state to state, so it is always best to check in the area you are visiting. As e-cigs do not contain tobacco, TV advertising of them, is not restricted. While Australia has previously had conflicting laws concerning e cigarettes, as it stands currently the benefits of vaping seem to be taken into consideration.When visiting Australia, you can vape in every state except Queensland, unless you are vaping liquid without nicotine. It is also illegal to sell or supply e cigarettes in Western Australia, although it is not illegal to use them there. In most countries throughout Europe, there are no laws regarding vaping, making it easy to obtain and use the beneficial devices. However, in certain countries such as Switzerland and Norway you can only purchase nicotine free e liquid as selling liquid with nicotine is banned. However, you can import150ml of nicotine liquid from another EEA state. In the Netherlands you can purchase vaping products, however it’s illegal to display e cigarette advertising. In Finland, nicotine cartridges with over 10mg of nicotine are illegal; although anything below is fine. A newly established law means that building associations and owners can ban vaping on balconies and other outdoor spaces. Whilst in Austria and Denmark they are regulated as medicinal devices and can only be used accordingly. In Brazil, vaporisers strictly cannot be used, sold or advertised. Anybody who is caught using an e cigarette in Brazil will see their device confiscated and can be faced with a large fine, meaning it is best to leave your vape pen at home if you are visiting. In other countries the repercussions can be more serious. Hong Kong is looking to ban e-cigarettes altogether next year, after deeming e-liquid containing nicotine as illegal and classified as a Type I Poison. You can face up to two years in prison if you’re caught with a device here. As well as this, you could be hit with a fine of up to HK$100,000, or over £9,000! In Thailand, taking vaping devices into the country can carry a potential punishment of up to a hefty 10 years imprisonment, as they were banned in 2014. Heat not burn products have been known to help people quit smoking but are banned in Singapore, with a full ban on e cigarettes expected soon. 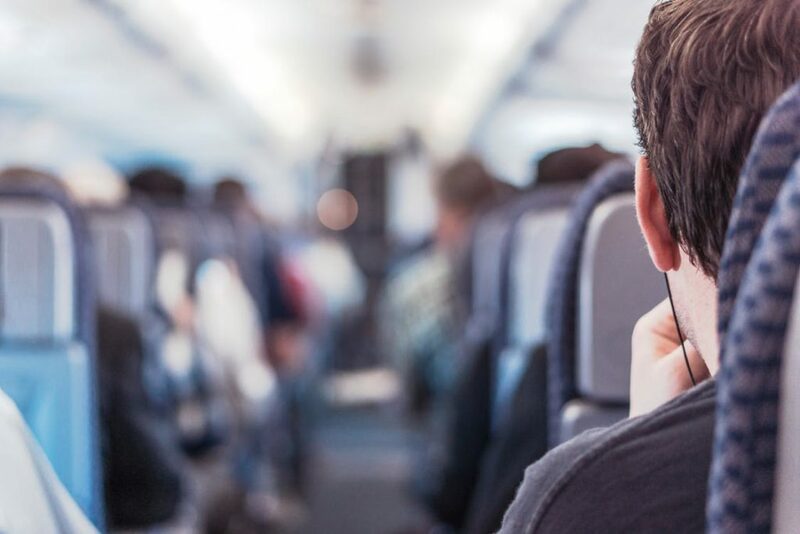 While switching to vaping can have a huge positive impact on your life, as laws prevent them from being used elsewhere, it’s important to take these points on board when you’re globetrotting. This will help to ensure that you don’t face a serious punishment, and instead, will keep safe while traveling and while enjoying your trip away.